The name of the Association shall be the Bloor West Village Residents’ Association (BWVRA). The Bloor West Village Residents’ Association (BWVRA) is an incorporated non-profit Association. The boundaries of the Association shall be within the City of Toronto from the east side of the Humber River, along the north side of Bloor Street West, to the west side of Quebec Avenue. From there, to the south side of Annette Street, between Quebec Avenue and Jane Street. Then south, along the east side of Jane Street, to Humberview Road. From there, west along the north side of Humberview Road, to the Humber River. The mission of the BWVRA is to foster a well-balanced, livable and vibrant community, and to support and encourage the participation of all residents in helping to attain this goal. To engage residents, businesses and other interested members of the community in issues specific to Bloor West Village and special concerns that may affect neighbouring areas, or all of Toronto. To provide a liaison with and seek support from all levels of government (municipal, provincial and federal) on issues that concern our community. To promote a safe and healthy neighbourhood environment. To promote the maintenance and enhancement of the quality of life that reflects the unique character of the local community. To participate, through the most effective means, in the planning of new development as well as redevelopment opportunities that reflect the values of the local community. To be proactive by keeping our community well informed and by sharing information with all residents, businesses and other interested members of the community. To work with other residents’ associations and business improvement associations on issues of mutual interest for the betterment of our community. The Fiscal Year of the Association shall begin on April 1 of each year and end on March 31 of the following year. All residents who live within the boundaries as defined in Section 2 of this Bylaw (“Official Boundaries”) are eligible to be Members of the BWVRA by providing full name, street address, postal code, and email address. Individuals who are not residents living within the boundaries as defined in Section 2 above can be Associate Members of the BWVRA. At the discretion of the Board, they may be invited to become a Member of the Association as per Schedule A of this Bylaw. To be a Member in good standing, the Member must have paid the Membership Fee for the Fiscal Year as defined in Section 5. All Members in good standing have the right to vote at all General or Special Meetings. The Membership Year shall be the same as the Fiscal Year. (iv) If the Membership has been terminated by a vote of at least two-thirds of the Directors. Notice of such a vote to take place shall be served upon the Member and shall set out the grounds for the proposed termination of his or her Membership. Prior to the vote, the Member shall be given an opportunity to meet with two members of the Executive Committee to discuss the reasons for termination. Based on the discussion, the two members of the Executive Committee then make a recommendation to the full Board of Directors. The Member has the right to appeal the decision to a General or Special Meeting of the Association, where a majority vote is required to sustain the decision of the Board. The Annual General Meeting shall be held once during the Fiscal Year of the Association on a day and a location fixed by the Board. Any Member, upon request, shall be provided, not less than ten (10) days before the Annual General Meeting, with a copy of the year-end financial statements or other financial information required by the Bylaw. (v) Any other business that may properly be brought before the meeting. The Directors may, from time to time, call a Special Meeting of the Association. The Directors shall call a Special Meeting of the Association if at least ten (10) per cent of the Members in good standing of the Association request that such a Meeting be called. Notice of the Annual General Meeting or of a General or Special Meeting shall be given to the Members by the Secretary at least ten (10) days before the date of the meeting. (v) Posted on the home page of Association’s website. A notice so delivered shall be deemed to have been given when it is delivered personally or to the person’s address, or three business days after it was mailed, transmitted or published. The notice shall specify the business to be attended to at the Annual General Meeting or the General or Special Meeting. Quorum for the Annual General Meeting or for a General or Special Meeting shall be at least fifteen percent of the Membership of the Association present in person at the beginning of the Meeting. Each Member in good standing is entitled to one vote at any meeting of Members. The Chair at the meeting is entitled to an additional vote in the event of a tie on any matter before that meeting that has been voted upon by its Members. Before or after a show of hands has been taken on any question, the chair of the meeting may require, or any Member may demand, a written ballot. A written ballot so required or demanded shall be taken in such manner as the Chair of the meeting shall direct. Any change in the Membership Fee shall be approved at an Annual General Meeting, or at a Special Meeting of the Membership. The affairs of the Association shall be managed by a Board of Directors (the “Board”). The Board shall be comprised of a maximum of seventeen (17) Directors including the Past President of the Board. There shall be no more than three Associate Members on the Board. The Directors shall be elected by a majority of the Members in good standing of the Association attending the Annual General Meeting. The Board shall establish and elect from among the Directors an Executive Committee of the Board, consisting of the President, Past-President, Vice-President, Secretary, Treasurer, and, at the decision of the Board, up to two Members-at-large. The President shall chair the meetings of the Association. The Board may from time to time appoint any other committee or committees that it considers necessary or appropriate. The committee or committees may include Members from the Board and Members and Associate Members of the Association. The Board shall, when appointing any committee, set out the purpose of the committee, its procedures and its powers, and its term, provided that the committee shall not exercise any of the powers or carry out any duties that are legally required to be exercised or carried out by the Board. (vi) To establish contributions to be made, or dues to be paid, by Members in good standing. (vi) Establishing rules of procedure for the conduct of the Annual General Meeting, a General or Special Meeting or meetings of the Board or of its Committees, as per Schedule ‘A’ of this Bylaw. Any decision to enter into contracts or agreements; to purchase, or otherwise acquire, sell, exchange or dispose of securities or any rights or interests; or to purchase insurance must be approved by a majority of the Board including at least four (4) Members of the Executive Committee. The contracts, etc. shall require the signing by two designated Directors. The Board shall establish at least two financial accounts which shall be held at a registered financial institution. The withdrawal of funds from these accounts shall require the authority of two Directors designated by resolution of the Board. Of the accounts established, one shall be used to hold Membership Fees and to pay for the operational expenses of the Association. The other account(s) shall be used to fund specific projects or campaigns and shall hold donations and contributions generated through fundraising in support of such specific projects or campaigns. Any restrictions and protocols regarding the management and use of the financial accounts shall be attached in Schedule ‘A’ of this Bylaw. The Board, at its discretion, may retain a Financial Auditor to review the Association’s financial records and provide recommendations for improvements to its financial record-keeping. The Board or any Director of the Association may not borrow monies on behalf of the Association under any circumstances. Directors shall not receive any remuneration for any of their activities on behalf of the Association. No Director shall provide paid services to the Association. No Director shall directly or indirectly receive any profit from occupying the position of Director. However, Directors may be reimbursed for reasonable expenses that have been pre-authorized by the Board or the Executive Committee, but not for time contributed or incurred in the performance of their Directors’ duties. A Director who has in any way a direct or indirect interest in a contract or transaction, or proposed contract or transaction, with the Association, shall disclose the interest to the Board of Directors. No such Director shall attend any part of a meeting of the Board or vote on any resolution to approve any such contract or transaction. Each Director shall be a Member in good standing of the Association at the time of his or her election or appointment, or within ten days of election or appointment and shall remain a Member in good standing throughout his or her term of office. A Director shall be at least 18 years of age and may not be an undischarged bankrupt or mentally incompetent person who has been found incapable by any court in Canada or elsewhere. Each Director shall be elected to hold office until the first Annual General Meeting after he or she was elected or until his or her successor shall have been duly elected. All Directors shall retire at each Annual General Meeting, but each is eligible for re-election if he or she is otherwise qualified to be a Director. The Past President of the Association shall be a voting Member of the Board. The Board may appoint a Director to fill a vacancy, provided that a quorum of Directors remains in office. If there is no quorum of Directors, the remaining Directors shall call a General Meeting of the Association to fill the vacancies. Directors are expected to conduct themselves in a respectful and law-abiding manner while helping to promote the objectives and values of the Association. Serious proven transgressions by a Director may result in the Board immediately sanctioning or removing the Director. The Director has the right to appeal the decision to a General or Special Meeting of the Association, where a majority vote is required to sustain the decision of the Board. The Members in good standing may, by a majority of votes cast, then elect at that General or Special Meeting any person who is qualified to be a Director in his or her stead for the duration of the term. The Board shall meet at least ten times during a Term-of-Office. Meetings of the Board may be called by the President, the Vice-President, Secretary or any two Members of the Board. Notice of the meetings of the Board shall be given to Directors at least seven (7) days prior to the date of the meeting. The Board may appoint a day or days in any month or months for regular meetings at an hour to be named. If regular meetings are scheduled and communicated, no additional notice is required. A meeting of Directors may also take place without notice immediately after an Annual General Meeting or a General Meeting to transact any business. No error or omission with respect to notice for a meeting of the Board shall invalidate the meeting or make void any proceedings taken or had at that meeting. A quorum for a meeting of the Board shall be two-fifths (40%), but not less than five of the Directors, of which there must be at least the President or the Vice-President, and/or any two of the other Members of the Executive Committee Once a quorum has been obtained the quorum shall be deemed to continue. Every Director is expected to attend a minimum of six of the ten scheduled Board meetings in each annual term of office. Failure of a Director to attend the minimum number of Board meetings may, at the discretion of the Board, result in the removal of the Director. If a majority of the Directors consent, a Director may participate in a meeting of the Board or of a Committee of Directors by electronic means that includes an audio and/or a video connection that permits all participants to communicate adequately with each other during the meeting. A Director participating by such means is deemed to be present at that meeting. The Directors shall vote on any resolution arising at any meeting of the Board. A simple majority of votes shall decide the resolution. In case of a tie vote, the Chair of the meeting is entitled to an additional vote. As per Section 9, Sub-Section c., above, of this Bylaw, the Executive Committee of the Association shall consist of the President, Past-President, Vice-President, Secretary, Treasurer, and, at the decision of the Board, up to two (2) Directors without Portfolio. The Executive Committee shall review and make recommendations to the Board on all matters related to the Association’s activities, including but not limited to its strategic direction, organizational structure, finances, promotion, organizing of events, and responses to issues that are pertinent to fulfilling its Mission Statement and Objectives. The Executive Committee shall have limited authority to approve expenditures of the Association’s funds as per Schedule A of this Bylaw. The Executive Committee shall have and may exercise the powers of the Board in the management and conduct of the affairs of the Association in accordance with any direction or restrictions provided in the Board’s resolution. (v) Past -President – Advise the President and other Directors as needed. Rules of procedure governing the establishment, election and operation of the Executive Committee are attached in Schedule ‘A’ of this Bylaw. The Executive Committee of the Board shall meet as needed, and meetings may be called by any two of its members. Notice of the meetings of the Executive Committee shall be given to Members of the Executive Committee at least three (3) days prior to the date of the meeting. The Executive Committee may appoint a day or days in any month or months for regular meetings at an hour to be named. If regular meetings are scheduled, no additional notice is required. A meeting of the Executive Committee may also take place without notice as deemed necessary by the Executive Committee. A quorum for a meeting of the Executive Committee shall be three-fifths (60%) of the Executive Committee Members and must include either the President or Vice-President, provided that once a quorum has been obtained the quorum shall be deemed to continue. Every Executive Committee Member is expected to attend at least three-fifths (60%) of the scheduled meetings of the Executive Committee in each annual term of office. Failure to attend the minimum number of Executive Committee meetings may, at the discretion of the Board, result in the removal of the Member from the Executive Committee. Decisions of the Executive Committee Members shall, preferably, be based on consensus. However, if there is no consensus, or with regard to certain types of decisions listed in Schedule ‘A’, Section 3.1, a vote will be required. Decisions shall be made based on a simple majority of votes. In case of a tie vote, the President, or in his absence, the Vice-President, shall have an additional vote. Limitation of Liability – No Director shall be liable for the acts, receipts, neglects or defaults of any other Director, or for joining in any receipt or any other act for conformity, or for any loss, damage or expense happening to the Association through the insufficiency or deficiency of title to any property acquired for or on behalf of the Association, or for the insufficiency or deficiency of any security in or upon which any of the monies of the Association shall be invested, or for any loss or damage arising from the bankruptcy, insolvency or tortuous acts of any person with whom any of the monies, securities or effects of the Association shall be deposited, or for any loss occasioned by any error of judgment or oversight on his/her part, or for any other loss, damage or misfortune whatever which shall happen in the execution of the duties of his/her respective office or trust, provided they have complied with the Association’s Bylaw and have not acted in willful neglect or default. (ii) In the case of a criminal or administrative action or proceeding that is enforced by a monetary penalty, he/she had reasonable grounds for believing that his/her conduct was lawful. The Association may purchase and maintain insurance for the benefit of the Association and its Directors and Members, as the Board may from time to time determine, in order to protect any Member of the Association. All minutes and records of the Association shall be maintained by the appointed Secretary. Minutes of BWVRA Executive meetings will be posted to the BWVRA website. Any Member of the BWVRA, upon written request to the Secretary, who wishes to view the Minutes of a particular meeting or the Financial Records of the Association, shall be entitled to do so. (v) Register of Directors showing names, addresses, dates of election and resignation. The Treasurer will maintain proper books of account and accounting records of financial transactions. The Board may make amendments to this Bylaw except for the provisions in Schedule ‘A’, Sections 2.1 and 2.2 with regard to funding and expenditures, which may only be amended by the Membership at an Annual General Meeting of the Association or a Special Meeting. Any proposed amendment to be made by the Board of Directors must be circulated to the Directors at least seven (7) days prior to the meeting of the Board of Directors at which the proposed amendment will be tabled. Approval of the amendment requires the attendance of at least three-fifths (60%) of the Directors and a two-thirds (66%) vote of support. The results of the vote must be recorded in the minutes of the Board of Directors meeting. Any Bylaw amendments that are approved by the Board of Directors must be submitted within a six month time-period to the Members in good standing at a General Meeting of the Association or a Special Meeting for approval by the general Membership. Any proposed amendment to be made by the Membership must be circulated to the Membership along with the notice for the meeting at least seven (7) days prior to the date of the meeting, as per Section 7, Sub-Section e.
Any Member in good standing of the BWVRA can propose an amendment to a Bylaw to the Board of Directors. After due consideration by the Board, the amendment may be tabled at the next Annual General Meeting. Ten (10) days’ notice of any proposed amendment must be given to the Members prior to such meeting. A person who is not resident within the Association’s area may be considered for Membership by applying in writing to the Secretary of the Board. The Board will decide whether or not to admit the applicant. In general, the Association intends that admittance is limited to persons who wish to make a particular contribution to the work of the organization by volunteering for committees or offering to stand for election to the Board (subject to restrictions on the maximum number of non-resident directors in accordance with Article 10.a). The Association shall maintain an account to cover day-to-day operating expenses. This account is generated and sustained primarily through the collection of Membership Fees. At the beginning of a term-of-office, commencing each year on June 1st, one-half (50%) of the Operating Account balance as at that date shall be reserved and carried forward for operating costs in the following term-of-office. The Board may spend the remaining one-half (50%) on the operating costs of the Association during the then current term-of-office. From this unreserved portion of the Operating Account, amounts that will not be required for operating costs during that same current term-of-office may, at the discretion of the Board, be transferred to the Save Our Village Account. Any expenditures or transfers that exceed the limitations specified in 2.1.2 shall be approved by the Membership. The Executive Committee may authorize individual expenditures not exceeding $200 from this Account and total expenditures not exceeding $1,000 during any term-of-office. Funds from this account shall not be loaned or donated to any other organization or individual. Should the Association cease to operate, as determined by the general Membership, the Membership will also decide on the appropriate disbursement of all funds remaining in this account. The Association shall maintain an account exclusively to support actions it may decide to take from time to time in response to re-development proposals or other matters that could substantially affect the future character of the area. This account is generated and sustained primarily by donations from the community and secondarily through recoveries of costs through negotiated settlements at the Ontario Municipal Board. Allowable expenses shall include professional fees and disbursements, printing, and all other incidental costs that are directly related to the afore-mentioned purpose of the account, as reasonably determined by the Board. The Association intends that this account be maintained indefinitely at a sufficiently high level that will enable it to take meaningful actions when required to influence the outcomes of re-development proposals in the foreseeable future. To that end, any expenditures during a term-of-office that exceed one-half (50%) of the account balance (as determined at the beginning of that term-of-office commencing June 1) shall be concurrent with specific actions initiated by the Board to reimburse the account through community fund-raising and negotiated recoveries (see also 2.2.1). During a term-of-office, the Board may authorize expenditures of up to $15,000 from this account, subject to the requirements in 2.2.3. During a term-of-office, the Board may also authorize expenditures in the form of donations from this Account to other organizations that are judged to be acting in the best interests of the community. Such donations shall not exceed the lesser of $2,000 or one-quarter (25%) of the account balance, as determined at the beginning of a term-of-office commencing June 1st. 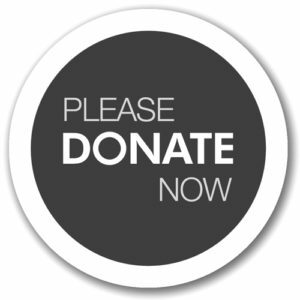 Prior to deciding to make any such donation, all due consideration shall be given to prior commitments, to ensure there will be sufficient funds available to complete any such undertakings. The Board shall also ensure that Members and other contributors to the SOV Account are immediately informed of any donations being made, the reasons for doing so, and how they may, or may not, impact the Association’s capacity to take on other actions in the future. Expenditures that exceed the limits in 2.2.3, .4 and .5 shall be approved by the Membership. Should the Association decide to collaborate with another organization in responding to a specific development proposal or other planning matter, the Board may enter into an agreement with the other organization to undertake the actions agreed to, including financial expenditures as permitted in 2.2.3, .4 and .5, or as approved by the Membership. Other matters on which consensus has not been reached after discussion, in which circumstances, a Director (or Directors) may make a motion to be voted upon by the Board or Executive Committee, as the case may be. A Member of the Association may be nominated by another Member and seconded by a third Member for election to the Board of Directors. The nomination may be submitted in writing to the Association’s Secretary at any time within two months, but not less than two weeks prior to an Annual General Meeting. Nominees are strongly encouraged to submit, with the nomination, a written bio, not exceeding 100 words. The nominations and bios will be circulated to the Members before the Annual General Meeting with the notice of the Annual General Meeting. Nominations from the floor are not accepted during Annual General Meetings. Should the number of nominees exceed the maximum allowable number of positions on the Board, Election of the Directors at the Annual General Meeting shall be conducted by secret ballot. Prior to the first Board of Directors Meeting of its new term of office each year, the Past President or his/her designate shall seek expressions of interest from Directors for the positions on the Executive Committee. The Past-President will chair the first meeting of the new term of the Board, at which time the slate of interested candidates will be presented, along with any other Directors who may come forward at that time, for nomination and election to the Executive Committee. Should there be more than one Director interested in any of the positions on the Executive Committee, election of that position shall be conducted at the first Board of Directors Meeting by secret ballot.